If you love dancing and a challenge, look no further than True Fitness's U-JAM Fitness® class, which has been awarded the Most Challenging Dance Fitness Gym Class by Shape Magazine Sports Awards 2017. U-JAM Fitness® is a gratifying high-energy group workout that combines groovy dance moves, cardiovascular training and adrenaline-pumping music to help you burn up to 1,000 calories in an hour. 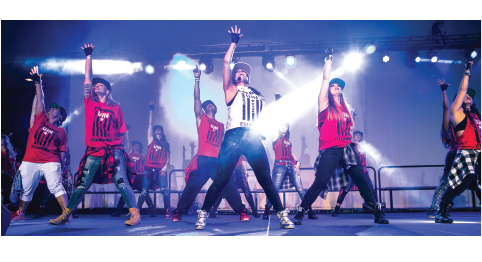 Originating from California, U-JAM Fitness® includes easy-to-follow moves to cater to participants of all dance and fitness levels – sprinkled with a generous dose of fun. The routine begins at a gentle pace to warm up and prepare your body for a full cardio workout. The intensity builds over the class to hit a high-level “groove jam” and ends with a “slow jam” to cool down and relax the body. Attending a U-JAM Fitness® class makes you feel like you are part of a big dance crew as you swing and side-step alongside your friends, shedding off your excess calories and stress. Tempted to get grooving? Try it today! U-JAM Fitness® is available at True Fitness Djitsun Mall (Ang Mo Kio). To enquire, call 6758 9555.